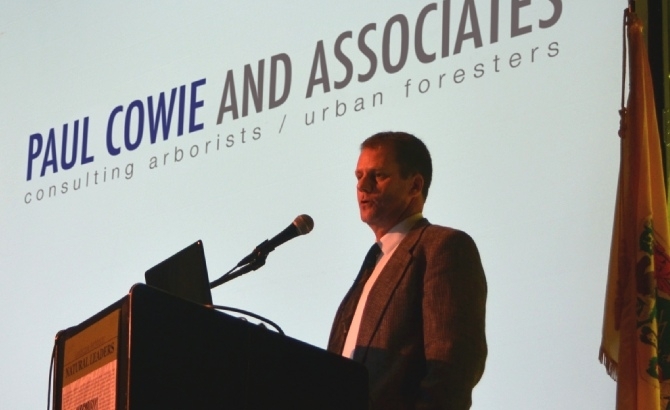 Paul Cowie is the owner and president of Paul Cowie & Associates, Inc. (PC+A), a professional consulting firm providing expert advice in the preservation, enhancement and long-term management of shade trees and urban forest resources. He received his Bachelors of Science degree in Natural Resource Management from Rutgers University and has over 27 years of experience in arboriculture and urban forestry. He is a NJ Certified Tree Expert, ISA Certified Arborist, and Past President of the NJ Arborists, Chapter of the International Society of Arboriculture. Paul’s personal areas of expertise include assisting in the development of innovative and sustainable urban planting designs, site-appropriate species selection, tree inventories, and community forest management planning.